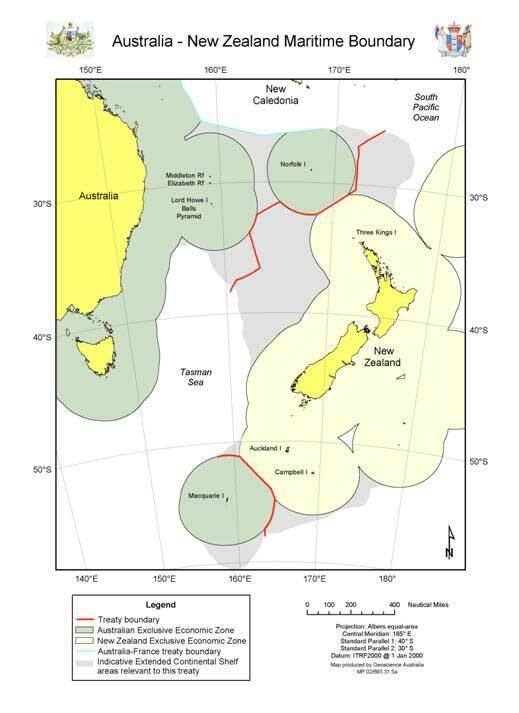 New Zealand and Australia have rights over areas of ocean called their Exclusive Economic Zones (EEZ). The continental shelf is the underwater landmass that extends beyond both countries. in the south, separating the EEZs and continental shelves between Macquarie Island and Campbell and Auckland Islands. For emergencies, dial 111 and ask for Police, or call Rescue Coordination Centre New Zealand (RCCNZ) on 0508 4RCCNZ (0508 47 22 69). The Met Service provides up-to-date Marine forecasts. See the MetService website. For details of these requirements, visit Maritime New Zealand. The New Zealand Coastguard provides safe boating information. Visit Coastguard New Zealand. Maritime NZ's role is to ensure that all maritime activities are carried out safely. Go to Maritime NZ. Approvals of installation, alteration and removal of aids to navigation. The Director of Maritime New Zealand must approve all changes to aids to navigation. For details on the approval process, application form and help guide, visit Maritime NZ.